Students – please remember to NOT wear your jackets to classes! Keep them in your lockers! Thursday marks the end of the first 5 weeks of the semester and the last day that students can drop a class without receiving a “WF” grade on his or her transcript. BRHS Key Club and Kiwanis Club of Farmer City will host their annual chili supper at Blue Ridge High School, 411 N. John Street, Farmer City on Friday, Feb. 8 from 5-7 p.m. Cost is $5 per person for chili, drink and dessert. Proceeds will go toward community service projects. Come out for some delicious chili - a good deal for a great cause! Friday, February 8th is also Senior Basketball Night and Senior Cheer Night! Tickets for the Valentine’s Dance are available starting today through Thursday, February 14th. Tickets are $5 per person, and are available before or after school in Ms. Loop’s room, or in the Commons during lunch. See a Spanish club member for tickets. 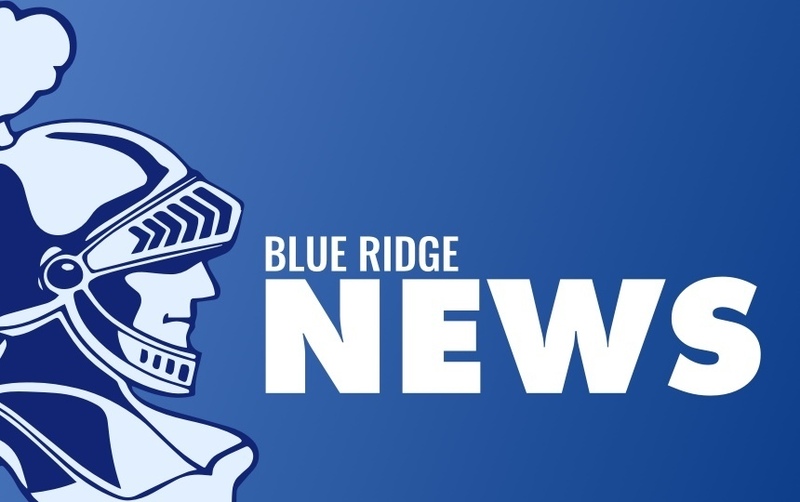 Also starting today, students may vote for the 2019 Blue Ridge Sweethearts. Participating couples are as follows: Justin Williamson and Alicen Herald; Cole Stephens and Farrah Michaels; Avery Fisher and Georgia Manuel; Hank Mitchell and Jamie Wanserski; and Grace Coffey and Abby Johnson. Votes are 25 cents each and may be placed at the same time as ticket sales. Good luck to all five couples! The Student Council is taking orders for Valentine’s Day on February 7th thru 12th in the commons at lunch. Flowers will be delivered 8th hour on Valentine's Day. Purchase 1 flower for $2 or 3 for $5. Proceeds benefit the Sunshine Center. Congratulations to Megan Schumacher and Katie Cole who have been recommended by Section 16 to receive their State Degree. Also congrats to Jaton Shaffer for being 3rd overall Section 16 Star Greenhand Farmer. We are proud of their accomplishments. Congrats to the Varsity Scholastic Bowl team for going 5-4 at the 18 team Mattoon IHSSBCA Tournabout the past Saturday, finishing a respectable tied for 5th overall. Congrats to Tyler Maxwell for being the tourney's 4th top scorer overall. In the morning rounds the Varsity defeated Oblong, Centennial, Danville and Shiloh, then losing to Greenville B. In the afternoon’s championship pool the Knights played their best match of the year defeating Charleston but couldn't maintain their momentum losing to Mattoon JV, Greenville A and tourney champions Paris. Leading the Knights in toss-ups was Tyler Maxwell with 47 followed by Luke Nichols with 19, Nadia Beadle with 8, Mitchell Houser with 5 and Josephine Aldrich with 4. The Varsity Scholastic bowl team is now 21-6 overall. The JV placed 7th out of 12 teams, going 2-5 on the day at the Roanoke-Benson tourney on Sat. 3 of the JV Knights losses came on a single question! Leading the JV Knights in toss-ups was Sammy Boogren with 11 toss-ups. Great showing Knights Scholastic Bowl teams.